There's one thing that connects us all and that is food. While we may not have the luxury to globetrot to places afar, Neha Khullar's new cookbook Palate Passport will take you on a global culinary adventure through sumptuous recipes from Dubai and Croatia to Morocco and Turkey - and plenty other destinations in between. In addition to the mouthwatering recipes, this wonderful cookbook shares the stories and customs of people and the places and history behind each dish. Palate Passport will give you a taste of the world all from the comforts of your home. Discover delicious must-try international meals you may have never heard of like Ajvar (Serbian Salsa), traditional Emirati Saloona (a spice-filled stew-like dish from the United Arab Emirates), Lahmacun (Turkish lamb pizza), and Cig Kofte (a vegetarian take on the classic Turkish steak tartare). 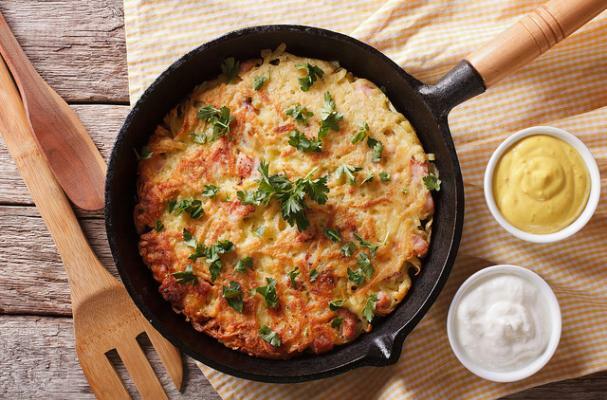 Below is the recipe for a classic Swiss Rösti, a scrumptious potato and cheese pancake. Also be sure to get Khullar's delicious oven-baked Tandoori Chicken Wings recipe here! The day before finishing the recipe, cook the potatoes with skin on in a pot of generously salted boiling water for 10 minutes or until tender. Drain and let the potatoes cool, then chill them overnight. The next day, peel and coarsely grate the potatoes. Season with salt, pepper, garlic powder, and the fresh thyme. In a different bowl, combine all 3 cheeses and stir well. Reserve. Heat 1 tablespoon of butter and 2 tablespoons of olive oil in a medium-sized sauté pan over medium heat. Add half of the grated potatoes, spreading them out evenly to cover the bottom of the pan. Allow to cook for about 4 minutes, or until the sides start to turn golden, while shaping it into a flat cake by pressing down lightly. Pour all of the cheese filling onto the potato pancake, leaving a small edge all around. Then spread out the remaining potatoes on top of the cheese, pressing it down and around as you go, covering all the cheese. Continue to cook for 5 more minutes. When the edges of the bottom potato cake are golden, gently shake the pan to loosen the rösti. Then flip it with the aid of a plate that is larger than the sauté pan. Add 1 tablespoon butter and some olive oil and when hot, slide the rösti back into the pan, uncooked side down. Let it cook for 5-7 minutes or until the bottom is golden brown, adding more olive oil if necessary. Transfer to a plate covered with paper towels to soak the excess grease. Let it stand for 5 minutes before serving. Neha Khullar the founder of Food Moodz, LLC, which is an online platform for foodies to share articles on the best eats, chef profiles, recipes, and food trends. Khullar is also the founder of Global Foodie Citizens which is a community of foodies located all around the world! The vision for GFC is to offer an invite-only group of foodies who can connect to meet at exclusive restaurants and food experiences around the world. Prior to becoming a cookbook author, Khullar worked on the corporate side of New York City. Fueled by her passion for food and cooking, she set out on a journey to explore culinary traditions around the world. She has broken bread in dozens of countries, spending time with master chefs, street stall cooks, grandmothers, and food lovers all around the world. They have taught her about their favorite local foods and shared the history and stories behind them. Palate Passport is her personal culinary masterpiece created to share this journey with others. Khullar is passionate about showing everyone that cooking is fun, it doesn’t have to be intimidating, and if made with love, even an imperfect dish will taste beautiful! 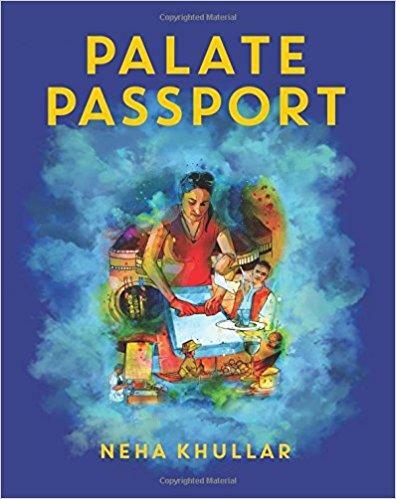 Palate Passport is available on Amazon.